​From Wikipedia, the free encyclopedia. 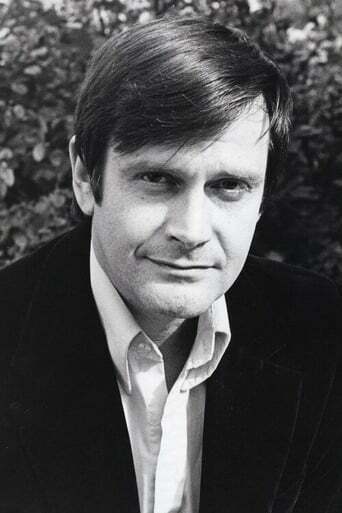 Ralph Bates (12 February 1940 – 27 March 1991) was an English film and television actor, known for his role in the British sitcom Dear John and for being one of Hammer Horror's best-known actors from the latter period of the company. Bates was born in Bristol, England, of French ancestry (He was the great, great nephew of French scientist Louis Pasteur) and educated at Trinity College Dublin. He read French there, before winning a scholarship to Yale Drama School. The course completed, Bates returned to Ireland to make his stage debut in Shaw's You Never Can Tell at The Gate Theatre, Dublin, in 1963. A career in repertory theatre soon followed and the young actor gained experience in productions ranging from Hedda Gabler, to raucous comedies. Later, Bates carved a niche in the world of horror films and played important roles or the lead in several Hammer Horror productions, such as Taste the Blood of Dracula, The Horror of Frankenstein, Lust for a Vampire, and Dr. Jekyll and Sister Hyde, in which he played a deranged doctor who mistakenly transforms himself into a beautiful siren. He portrayed Caligula in the series The Caesars and alongside Cyd Hayman in a passionate French tale of murder and mystery - Crime of Passion series. After playing Thomas Culpeper in an episode of The Six Wives of Henry VIII (1970), he went on to star in the BBC drama series, Moonbase 3 (1973) and the long-running Poldark, in which he played villainous George Warleggan. The series ran for 29 episodes, starting in 1975. He also played Communist Paul Vercors in the final season of the drama series Secret Army. Because of his French ancestry and dark looks, he was often chosen to play a Frenchman on television. Bates also appeared in the television movie Minder on the Orient Express, again as a Frenchman. It looked, for some time, as if he might remain typecast in sinister roles, but he was offered a part in a farcical comedy by the writer John Sullivan, which saw Bates as the loveable but loveless central character among a singles group, with each of its members looking for that perfect but ever elusive partner. Dear John (1986–87), in which he realistically played the part of a divorcee returning to single life, lasted for two series, and around the same time he appeared in the ITV Yorkshire Television sitcom Farrington of the F.O. (1986) with Angela Thorne and Joan Sims. Bates became ill and was diagnosed with cancer. He died in London at age 51 from pancreatic cancer. He was divorced from the actress Joanna Van Gyseghem, and survived by his second wife, the actress Virginia Wetherell (married 1973-1991). The couple had one daughter actress Daisy Bates (b. 1974), and a son William Bates (b. 1977), an actor & musician. Description above from the Wikipedia article Ralph Bates, licensed under CC-BY-SA, full list of contributors on Wikipedia.